Archive by category "IT and computing"
Budding digital entrepreneurs across the globe will be given the ‘app’-ortunity to launch their very own iOS app as part of Curtin University’s latest Massive Open Online Course (MOOC). Nine of Curtin University’s priority research areas have been ranked as high-impact in the first nation-wide assessment of the engagement of Australia’s higher education sector. PhD students from Curtin University will travel to France to collaborate on defence research under a partnership agreement with respected French research institute ENSTA Bretagne. Curtin University has named the Governor of Western Australia the Patron of the Autism Academy for Software Quality Assurance (AASQA). Cisco and Curtin University have announced investment in a new research centre, the Centre for Intent-Based Networking, focused on advancing networking technology. A senior executive from global internet networking leader Cisco has been awarded an Honorary Doctorate by Curtin University. Curtin Malaysia has been awarded RM2 million (more than AU$675,000) by the Sarawak State Government to support information technology developments at Curtin’s largest international campus. Curtin University has appointed a research and engagement executive to lead the new WA Data Science Innovation Hub. 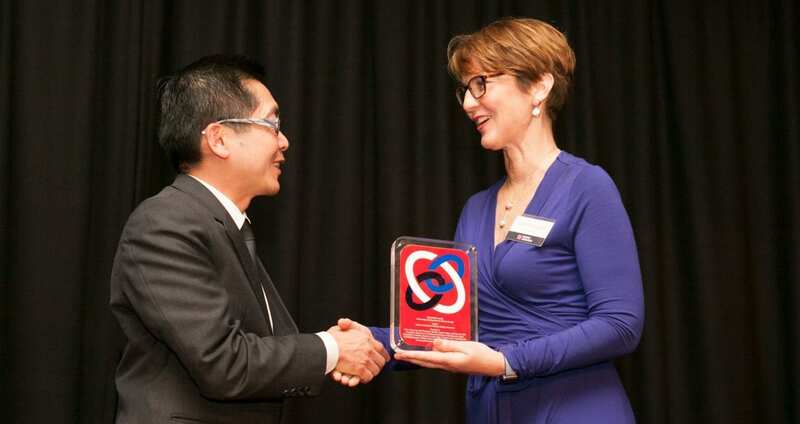 The Autism Academy for Software Quality Assurance (AASQA) at Curtin University has won a prestigious national award from the Business/Higher Education Round Table (BHERT). Curtin University has appointed an international business and information technology leader to the role of Chief Information Officer.